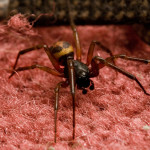 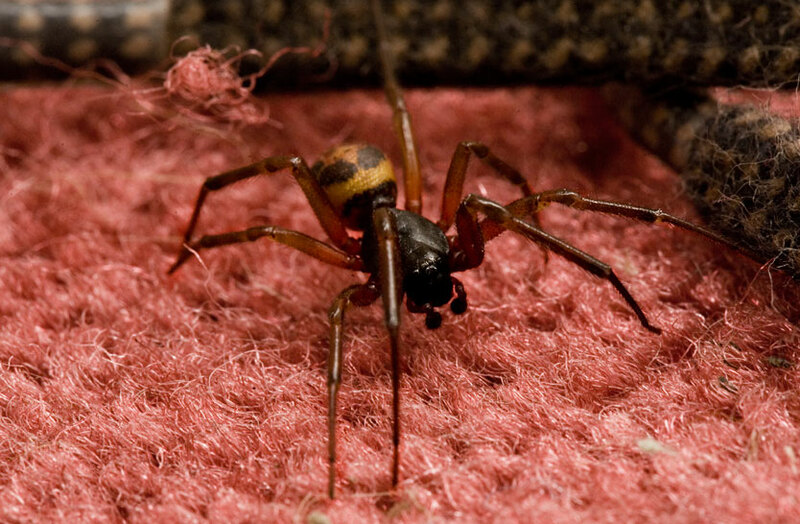 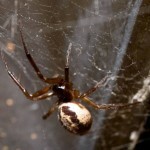 Photos of Steatoda noblis – the (noble) false widow spider. 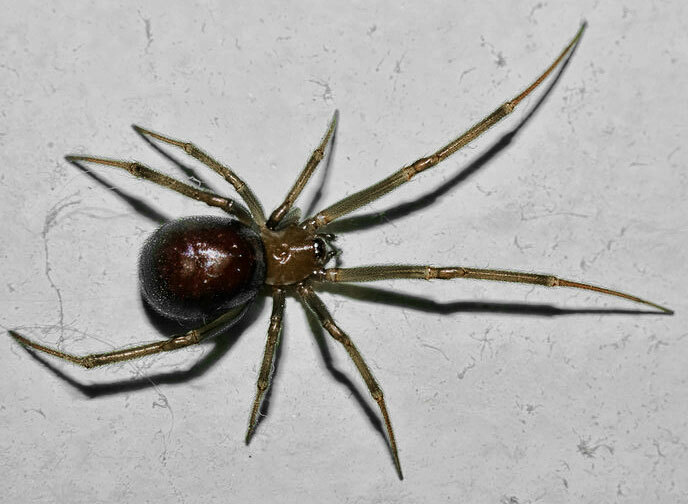 This is the spider that is generally referred to when people talk about false widows. 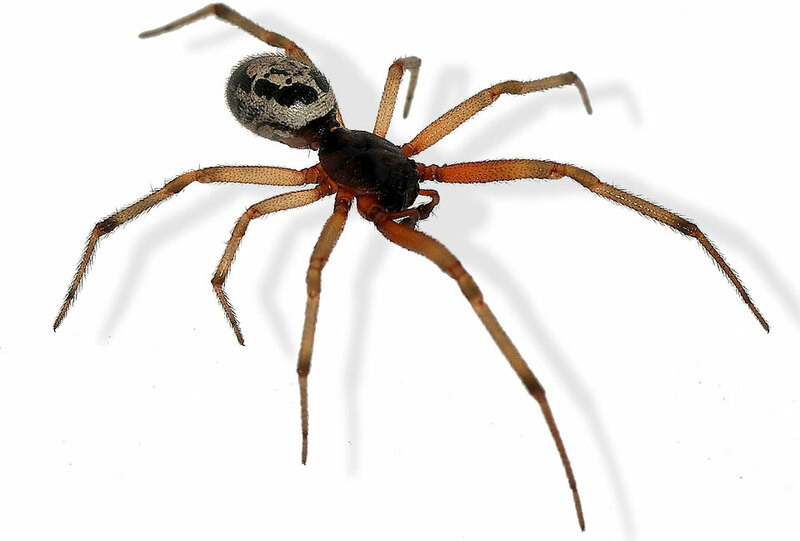 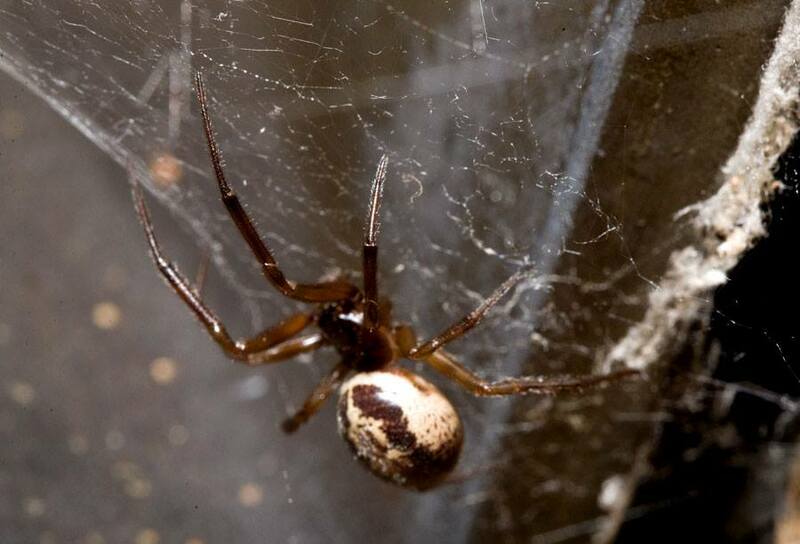 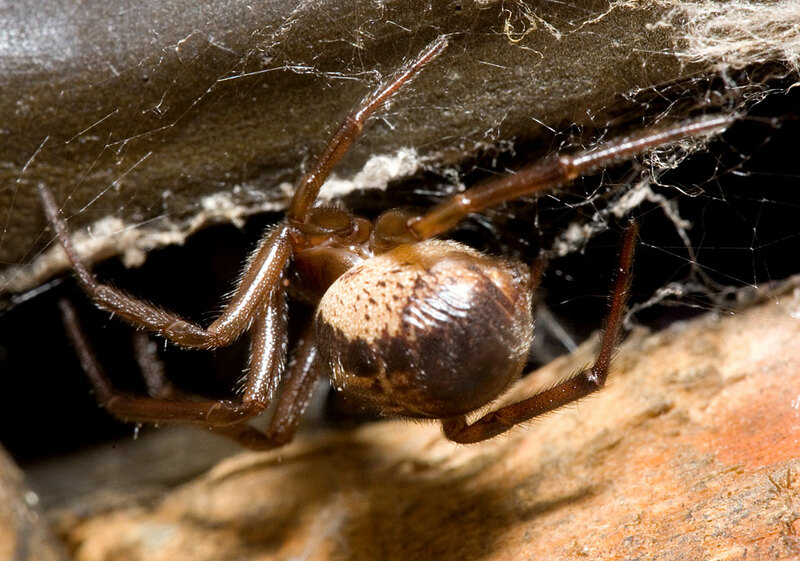 The other main species of spider referred to as a false widow is Streatoda grossa. 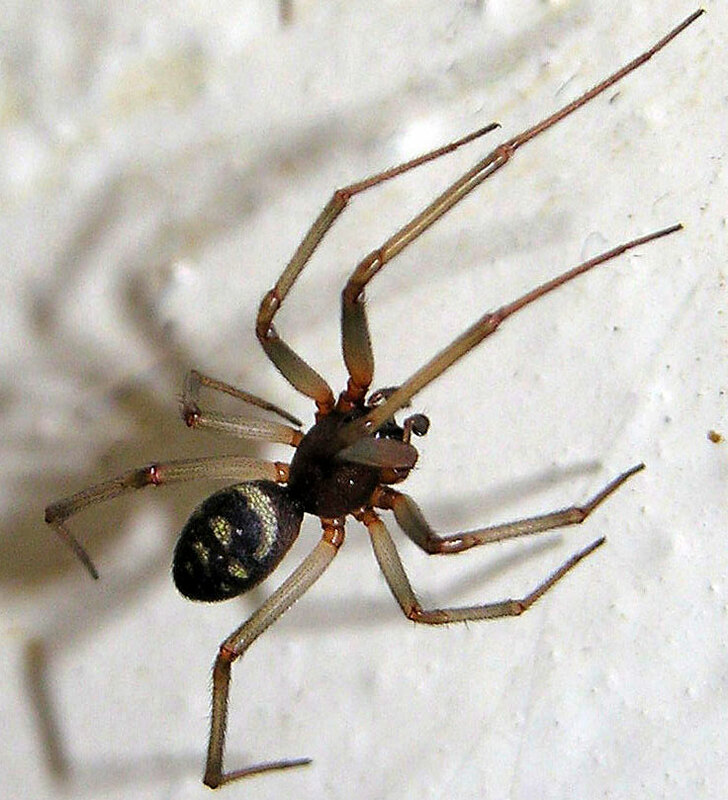 Also known as the cellar spider or cupboard spider S. grossa packs an equally (if not more) painful bite. 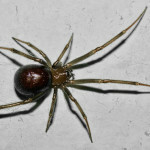 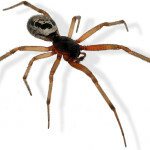 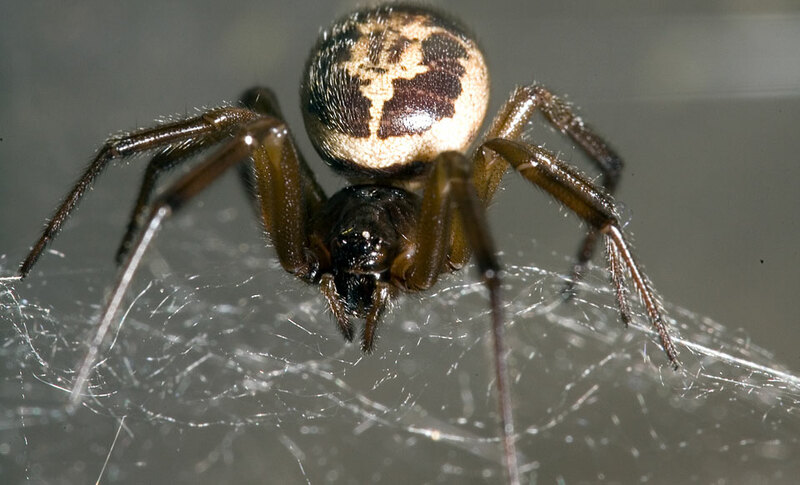 S. grossa is also more likely to be mistaken for a black widow as it sometimes has darker legs and body than S. noblis. 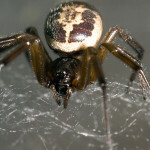 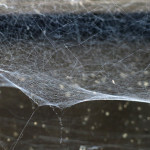 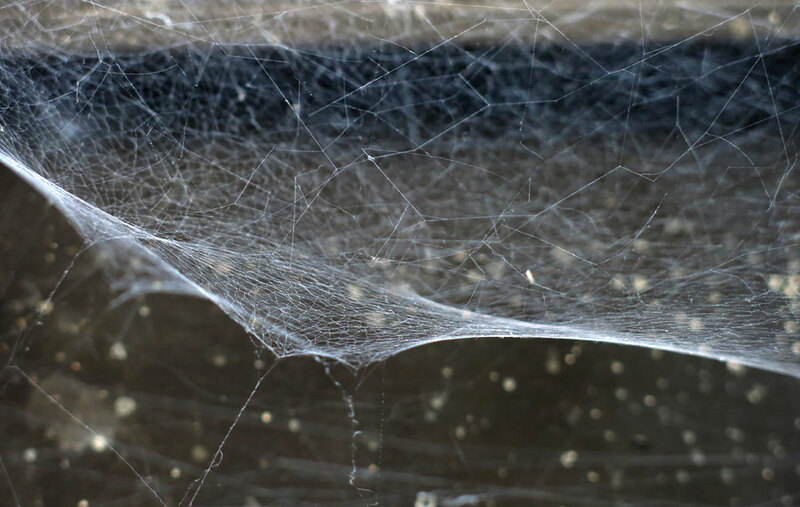 There is considerable variation in appearance between individual spiders in terms of pattern and colouration. 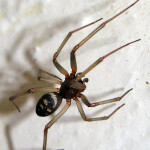 The markings, when visible on S. grossa tend to differ from S. nobilis in that they are more regular and consist of a crescent followed by 2 or 3 ‘chevrons’.